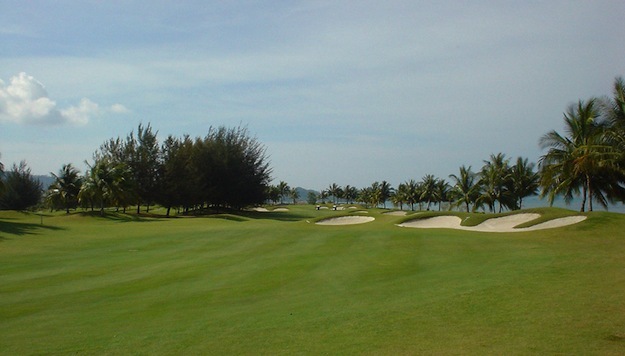 Part of the Sutera Harbour Resort complex, the Sutera Harbour Golf & Country Club is a 27-hole 6316-meter championship golf course designed by Graham Marsh. 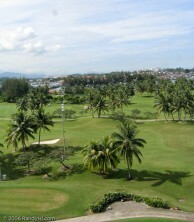 Centrally located in the heart of Kota Kinabalu and just 10 minutes from the international airport, the course is also within walking distance of both resorts at Sutera Harbour. 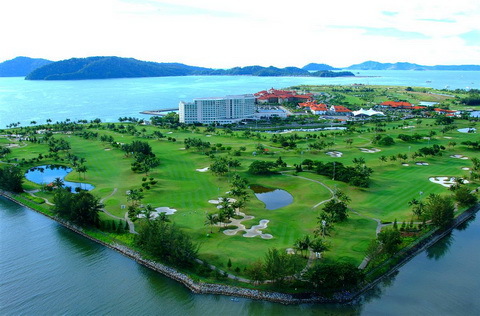 The Sutera Harbour Golf Club has collected numerous awards of distinction and hosted several major tournaments including the 2nd Best Golf Resort in 2008 and the Asian Tour 2011 Sabah Masters, respectively. 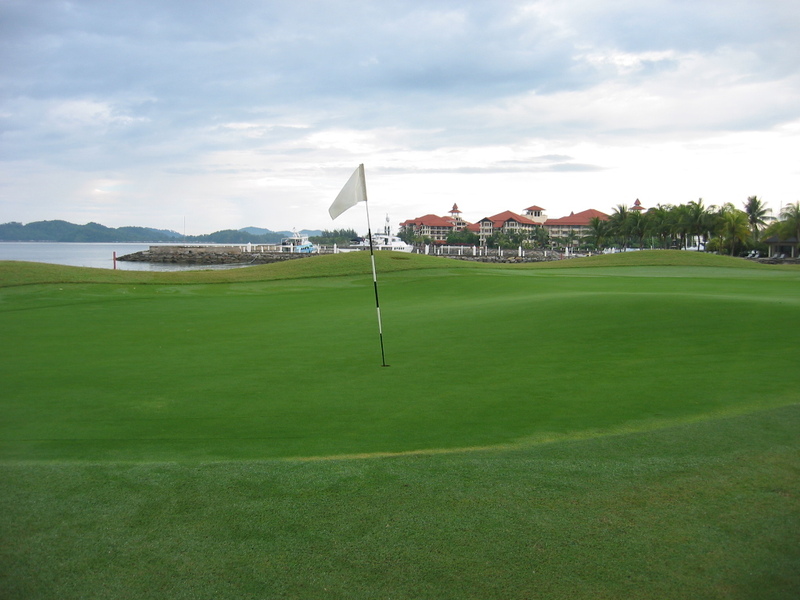 In 2012 Sutera Harbour hosted the One Asia Qualifying School as well as a qualifier for the World Amateur Team Golf Championship. 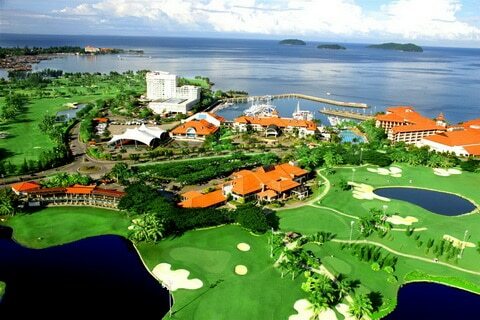 The golf course plays between the shores of the South China Sea and overlooks several offshore islands. 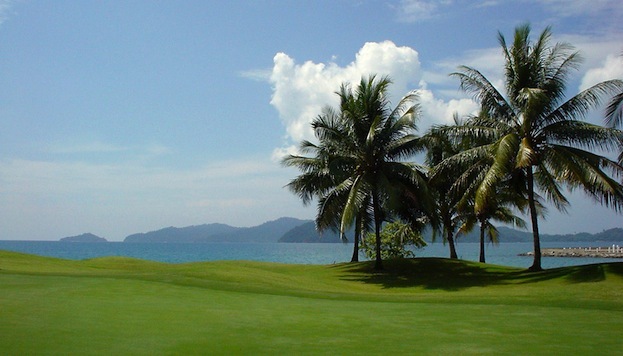 The Sabah golf course comprises the Lake Course, Heritage Course and Garden Course and combines nature with clever routing, challenging fairways and greens, as well as strategically placed bunkers. 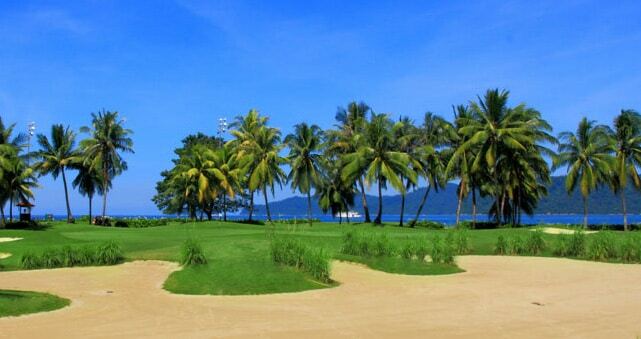 The Lake Course named for the richness in water hazards and lakes starts from the clubhouse. 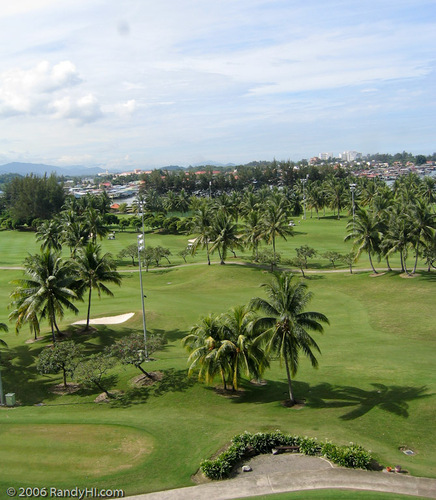 Nestled between the undulating greens and landscaped vistas, fantastic views of the Kota Kinabalu city, the Heritage Course is a peaceful and secluded course in which to relax and play. The Garden Course presents a spectacular area richly landscaped with shady trees and sand bunkers with ocean and island views on the horizon. The all Bermuda grass course is well-maintained and landscaped. 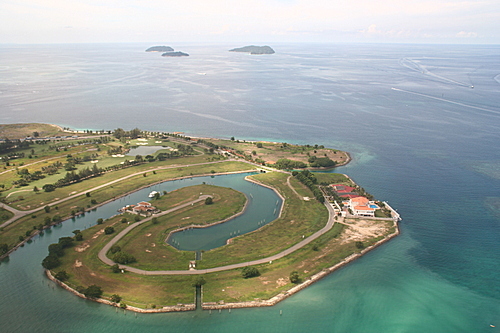 Many waterways cross the site, which offers a challenge for amateurs and top professionals. The Sutera Harbour signature hole is the 24th; a 330 meter par-4 on the Garden Course with sandy waste areas and the ocean coming precariously close to the undulating green. Two precise shots are required to avoid a watery ending. The par-3 184 meter 6th hole on the Heritage Course is another beauty, requiring a solid tee shot over water to a heavily bunkered green. 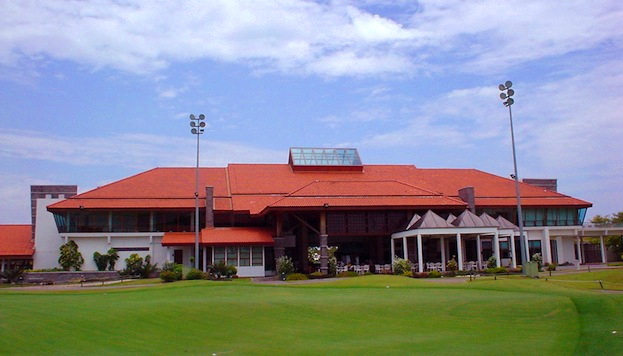 Sutera Harbour’s other facilities include a driving range, putting green, chipping and bunker practice area, pro-shop, locker rooms with sauna facilities and a golfers terrace. The golf resort also offers a variety of activities including a marina, international spa, 14 restaurants, and extensive recreational facilities. 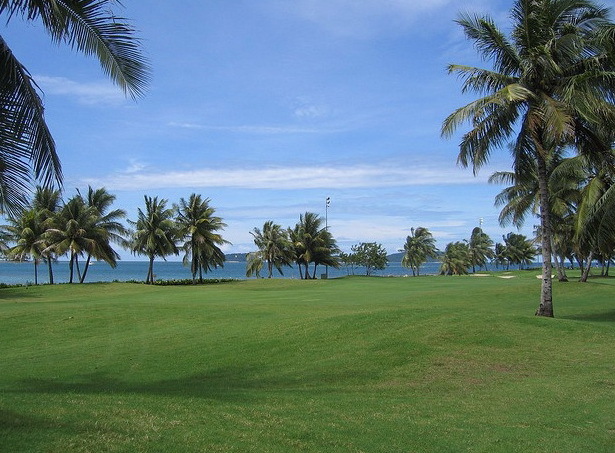 Both day and floodlit night golfing are available for those Malaysian golfers who prefer golf after the sun sets in the cooler part of the day. Have you played golf at the Sutera Harbour Golf & Country Club and took some nice photos that you would like to share with other golfers? Send them to us and we may upload them here. Thank you in advance!